It's the end of the world as we know it...and there will be no more insufferable references to 90s music! Eschatology is that branch of theology which studies the last things. 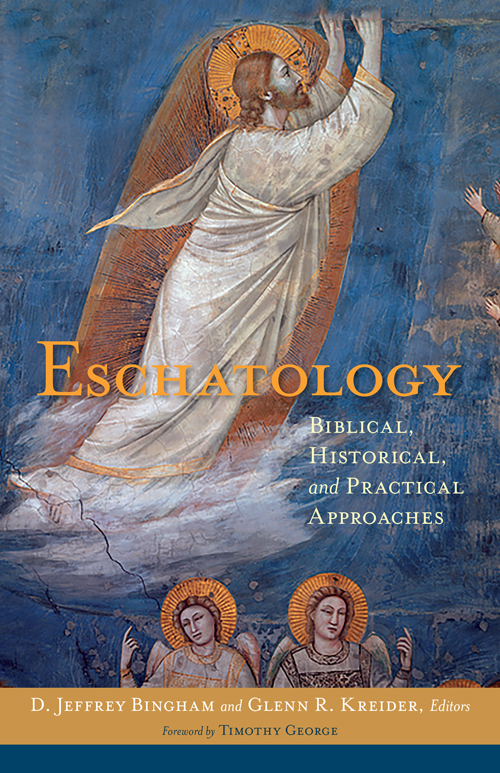 Eschatology is collection of essays looking at this area of theology. This book has its roots at Dallas Theological Seminary and Southwestern Baptist Theological Seminary. Therefore, it should not be surprising to find dispensationalism as the primary grid of eschatology used here. This differentiates the work here from a book that presents a varied viewpoint, like one of the "Four Views" series does. That is a strength of this work, if you know that you are getting it. Rather than wading through a surface treatment of divergent views, the reader begins to see the implications of a basic dispensational understanding in areas of theology and Christian life. A word should also be shared regarding the contributors to this volume of essays. They range from seminary presidents to seminary professors to seminary presidents again. Academically, one would be hard-pressed to survive this lineup as lecturers. Especially if they gave tests! For example, there is David L. Allen, Dean of the School of Theology at Southwestern Baptist Seminary. Or there is David S. Dockery, President of Trinity International University. Then you get the presidents of Southern Baptist Seminary and Southwestern Baptist, and so on. On to the content, though, as even great minds can come up with clunkers. The book is divided into four major sections. These address the foundations of eschatology, the Biblical basis of eschatology, the historical development of eschatology, and finally the practical implications of eschatology on ministry. As any collection of essays will be, this one has a few that are better than others. Some, like Holsteen's essay on The Doctrine of the Future in John Calvin, stand out due to content. Likewise, I liked Turner's section on eschatology in John better than Bock's on the Synoptic Gospels, but that's because of my own preference for John's writing. Blaising's concluding essay on the implications of eschatology on the marketplace was a surprisingly good finish. In all, I cannot find much fault with this work. Rightly, Kregel Academic continues to support the use of footnotes. The serious student of Christian theology will benefit from this volume. Size/format fits the shelf well, and the hardcover feels durable.